Deputy Jasper Tanner wants to show Callie Lee he’s a real man. Jasper has been in love with Callie since she was an upstairs girl, and he was one of her whiskey-swilling clients. But when Callie remade herself as the owner of a successful saloon—the saloon where she once sold her affections—Jasper became a better man in order to win her heart. He built himself a house and a new life, and he works hard to make Cricket Bend a peaceful and decent town. After a hard heartbreak, Callie figures men aren’t worth the trouble. She doesn’t have time for them, between managing her business and running for mayor of Cricket Bend. But she can’t keep her eye and heart from straying to the handsome, red-haired deputy. Hank and Callie have a past…a past that doesn’t bear scrutiny when you’re running for mayor. 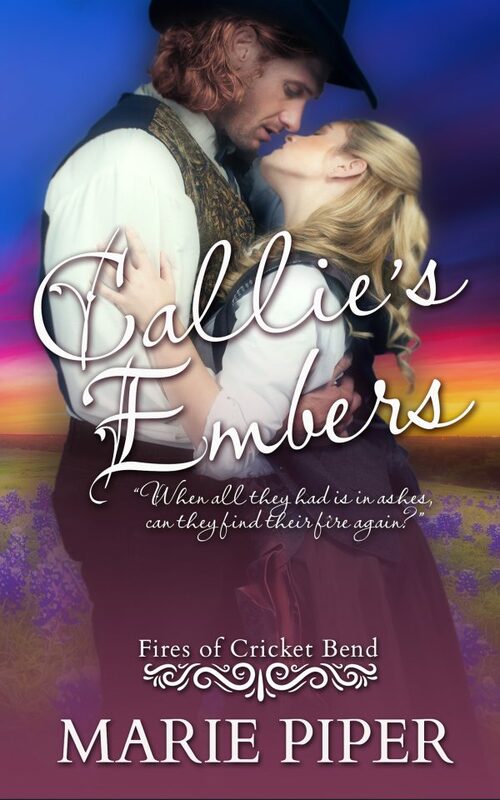 To save her chances of being elected, and to save good friends from broken hearts, Callie has no choice but to pretend she’s back with Hank, or leave Cricket Bend forever. But Jasper won’t let anyone keep him from the woman he loves, and he’s willing to go down fighting to prove it. When passions are stirred up and old grudges surface, they might just set Cricket Bend aflame.